Afra Raymond’s new post about the Integrity Commission of Trinidad and Tobago shows that what Bajans know is true – when Public Money meets Greed in an atmosphere of no or inadequate integrity legislation, the taxpayers always lose. 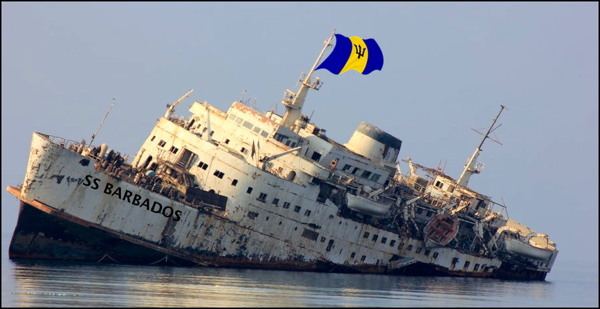 For over 30 years successive Barbados governments have promised integrity legislation, and like fools we keep voting the same crooks into office even when we know they are lying to us. In Trinidad and Tobago, at least the people forced the passage of integrity legislation. In Barbados the politicians don’t even pretend to listen to the people. The Integrity Commission is continuing its efforts to revise the Integrity in Public Life Act (IPLA) to give greater effect to its anti-corruption work. I fully support those efforts. The key challenge is to discern how Public Officials commit the corrupt acts the Commission is meant to reduce. It is therefore necessary to conduct a scrupulous examination of Commissions of Enquiry and other Inquiry (eg LifeSport) Reports & evidence; Auditor General’s Annual Reports; as well as the leading international learning on these questions. It’s an old story, an old lie, but it’s still true that Attorney General Adriel Brathwaite and his DLP gang lied to get elected and then lied again to get re-elected. They said they would put Conflict of Interest rules in place immediately upon election. They lied. They said they would pass Integrity Legislation within 100 days of election. They lied. They said they would pass Freedom of Information laws. They lied. And we’re going to continue telling like it is. Come and get us Brathwaite. YOU ARE A DAMNED LIAR. Even the Captain of a floating wreck lives better off than the crew! Every few months we hear rumbling from our esteemed political elites that the Westminster parliamentary system is somehow “obsolete” or that it no longer fits a modern society. “Given that our political parties receive financing from business-people, how will those party financiers be rewarded? In a situation which properly controls the award of State contracts for goods, works and services, how can they be rewarded? You must visit Afra’s website and read his post None So Blind. When this article was first published in July of 2012, Attorney General Adriel Brathwaite was still lying to the people that his DLP government really intended to enact the long promised Integrity Legislation. That was then. Today Brathwaite and the DLP don’t even bother to promise. They lied, we elected them. They lied again and we elected them again. Bajan politicians: laughing all the way to the bank… in Switzerland. Integrity Legislation has no chance and Adriel Brathwaite knows it! Oh… wait… The mainstream Bajan news outlets do rely upon government advertising to survive! Do you think that impacts their editorial decisions? We think it does and that any citizen can see that our news media isn’t giving us the truth. Here at BFP we say that the Bajan news media sold their souls a long time ago and consequently the public is fed a version of the news that is less than citizens deserve. In Barbados we have zero transparency, zero accountability and the ruling political elites can do pretty well what they want. Author Daniel Suarez’s TED presentation predicts that as autonomous weapons become cheaper and more lethal, smaller governments and developing societies will have an advantage over larger, more developed societies. It seems far fetched to imagine Barbados wielding autonomous weapons and drones – but maybe not. Suarez also talks about private interests using the same weapons. Considering the Columbian and Mexican crime cartels, that’s not such an impossibility either. “This raises the very real possibility of anonymous war. This could tilt the geopolitical balance on its head, make it very difficult for a nation to turn its firepower against an attacker, and that could shift the balance in the 21st century away from defense and toward offense. It could make military action a viable option not just for small nations, but criminal organizations, private enterprise, even powerful individuals. It could create a landscape of rival warlords undermining rule of law and civil society. Now if responsibility and transparency are two of the cornerstones of representative government, autonomous robotic weapons could undermine both. Watch Daniel Suarez’s entire TED Talk here. Thanks to an old friend for the suggestion. Listen, Brathwaite: that’s a lie. Your government said they would put forth the anti-corruption legislation four years ago – within 100 days of being elected. So your statement is a big fat lie. Liar. Now let’s talk about what happens even if your government passes the integrity legislation in the next few months: It will never be proclaimed as law before the next election because it will die in the Senate. You know this, you liar. You know this legislation will never become law. You also know the Freedom of Information legislation that you promised is rotting in its grave. The conflict of interest rules and Code of Conduct that the DLP promised to implement from day one were the first two promises to die. Integrity Legislation is four years and more past due. It is dead, dead, dead. A drug court is on the cards and anti-corruption legislation may be agreed in a month or two. Just as important, says Attorney General Adriel Brathwaite, the Government is moving on legislation to boost the offshore international sector which has been hit by competition from Bermuda, the Cayman Islands and The Bahamas. He also dealt with crime, the Police Force and complaints against lawyers in an interview with THE NATION’s North American Correspondent Tony Best in New York last week. What are some of the things you want to get done before the next election?